WTI Contact Back is a plugin for sending website admin an email letting him know that he needs to contact you back. Upload the directory ‘/wti-contact-back/’ to the ‘/wp-content/plugins/’ directory. Click on ‘WTI Contact Back’ link under Settings menu to access the admin section. On widgets section, there is a widget called ‘WTI Contact Back’ available which is used as the widget. Once installed and activated, this plugin settings link is available below the plugin name in the plugins section as shown above. 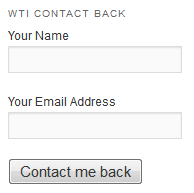 There is also a link ‘WTI Contact Back’ available under Settings tab. When you click on the link shown above, you will be taken to the plugin Configuration Settings page. For the moment this plugin comes with 2 configuration settings. 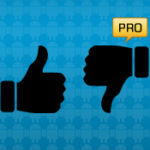 This option is for setting the email id which will be receiving the emails sent using the widget. Default value: Admin email id used during setting up the site.